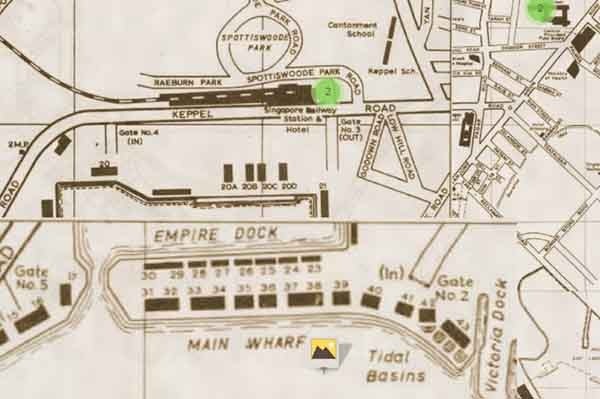 It was announced this past weekend that the Singapore Land Authority (SLA) has launched the One Historical Map app to allow users to compare the modern landscape of Singapore to that of former times. The mobile app was created by a team of geospatial application specialists within SLA, in collaboration with the National Heritage Board (NHB). This app helps celebrate Singapore’s Jubilee Anniversary. One Historical Map aims to trace the significant changes to the nation’s landscape, since its independence was declared 50 years ago. 300 pre-loaded geo-tagged photos throughout five editions of geo-referenced post-independence Singapore streets and maps are provided. NHB curated 200 photographs from their archive, while 100 photographs were added by local supporters and geo-historical buffs. Users may directly engage and interact with the geographical history by geo-tagging photographs from their personal collection of the past and present. “We have created a geo-historical platform by integrating maps and technology and we strongly encourage users to contribute to the One Historical Map app by geo-tagging their personal photos of places and buildings of Singapore,” stated Tan Boon Khai, Chief Executive, SLA. The app aims to draw engagement from ‘net-savvy’ users, while also encouraging an inter-generational dialogue on the history of Singapore. Yet, the app also notes that the personal data collected by users may not be used in a manner that was not consented to by SLA. Tan Boon Khai hopes that, in the future, SLA may explore collaboration with other agencies to increase content shared on the One Historical Mapp app. SLA introduced this app in tandem at the GeoHackathon 2015 held in the National Design Centre. The GeoHackathon 2015 worked to bring the brightest minds in the community together in order to solve societal problems using Geospatial Information Systems and Technology (GIST). One Historical Map app is accessible at www.oneHmap.sg and also from the Google Playstore for Android devices. An iOS version of the app is expected to be released in a few weeks.